Looking for a Henderson magician for your next occasion in the Henderson North Carolina area? Consider Henderson magician Magic by David as the obvious solution. 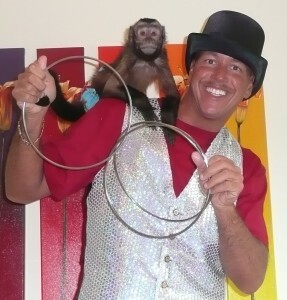 David have been performing a variety of magic shows for audiences in the Henderson North Carolina area. Henderson magician Magic by David strives to make every performance not only fun, but custom tailored to meet your needs. Below you will find a sample listing of the many shows David has available in the Henderson and surrounding areas. Magic by David performs at – Schools, birthday parties, churches, daycares, festivals, and any event! So, if you would like to brighten your occasion with a Henderson Magician, Magical Illusions of David don’t wait! His calendar is filling up rapidly, and he would love to entertain your group. Let David brings a new world of wonder and delight to your audience. The best magic does not trick you, it makes you believe. Trying to find the right magician in Henderson North Carolina that specialize in family and children’s entertainment can be a very difficult task. However, let one Henderson magician – Magic by David help ease your fears by providing high caliber family FUN entertainment that’s perfect for kids and ADULTS! Every magic show is backed by a 100% satisfaction guarantee.